Extreme emotions of anger and happiness. Reminds us to nourish ourselves, mind, body, and soul. There can be new loves, relationship endings. Do not make hasty decisions, or you will create negative karma that you will have to work out later. On July 4th there are 4 planets in Cancer. This is all about nourishing. It’s about feeling safe, being at home, and comfort. It’s all about being comfortable, and feeling safe. There is a huge message with a key to understand how this unfolds for you. It’s time to look where these planets are closest in your own personal chart. You need to bring in a spiritual opponent, to release any negativity such as anger, resentment etc.… These emotions are holding you back. Once released it gives you an opportunity to move forward. Releasing the negativity in your live is best done by water contact such as immersing yourself in a lake, ocean, or bathtub, meditation, and other spiritual practices. Try meditation by a lake. This is a time where you need to release judgments. It is a time to try to look at things from a spiritual aspect. Kabbalah helps puts this in a better perspective. There is a Lila concept which means that a strong woman will show her steamy passion that is happening this month. There can also be feeling of being coned this month when you allow yourself to be ruled by others besides yourself. This is a time when you want all your frustrations to come out so you can release them. You want to let go of all the things that have not worked out in your life on a positive note. It’s time to shed all that is negative in your life and that has been emotionally holding you back so you can feel lighter. This will give you the freedom to forge ahead in a more productive direction that suites you. This is a time where you will want to let go of negative relationships, beautify your home and other environments that surround you, including the self. These planet aspects will make you want you to heighten, and nurture your sense of family. There could be a lot of romance this month, depending on how all these aspects hit your personal chart. This could be a time where love moves forward, or you let go of a relationship that is causing you harm. This is a time of great passion. The energy in July will feel very different than the energy we felt in June. There is a mutable grand cross that is going to keep people feeling pulled in all different directions. There is going to be a lot of distrust. Much that we thought as permanent is now dissolving. But now we can make our dreams real. We can ground ourselves. It’s going to be a very emotional month. There will be seven planets in water signs. So there will be a lot of compassion and sensitivity. It’s about nurturing ourselves and others. Remember that Cancer is related to the past, such as our history, and past experiences. But with this full moon we can set a different intention emotionally. At this point Pluto is now opposing the Sun, and the new moon. This is about power, and power struggles. We will see power plays in strange ways working its way in the world. First week of July Venus in cancer is opposing Pluto and squaring Uranus. There could be plays of power in your love relationships to fight for who is in control. This is the polarity that will be in the first week of July. This is a time for original inventive ideas. Uranus is the planet of awakening and Pluto is the planet of transformation. Extraordinary thinking. 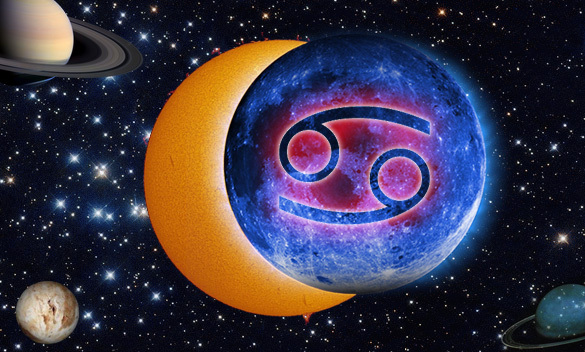 July 16, and July 17 the Sun is in aspect of Uranus and Pluto. Anyone who has planets between 16 and 24 degrees such as Aries, Libra and Capricorn will really feel these changes within their world. Uranus has now moved on to be conjunct with the dwarf planet Ares. This has a warrior woman quality. There will be fighting over the earth. Mars is also energizing Ares. Mars is going direct giving out more energy. This will be helpful if you have Aries or Scorpio aspects. You will then feel a relaunch, allowing you to step out much stronger within your power. Mercury and Mars are moving forward like an arrow being pulled within a bow releasing all this amazing accelerated energy. A better focus. Jupiter will be in a beautiful trine aspect with Pluto at 16 degrees off Capricorn. This can bring success, abundance, recognition, personal growth, and new opportunities. This is very positive. Jupiter with show us where we are expanding, and where we can have success in our lives. Some people will be feeling the need to control everything because they are living in a scarcity factor within their consciousness. Just try and stay in control of the self, and not of others. Those who you try to control will feel suffocated, and pull away. But on the other angle this is a time where love can let go of a present relationship, rekindling an old relationship, or someone new can come into your life. This is a time to embrace something that you feel very compassionate about. Put this can allow a healthy obsessive energy that you will be feeling, bringing in something positive, and something that you love. This is a time to nurture your emotional well-being which includes your spiritual ways, home, and even foods that you nourish your body with. Just remember that the fireworks will be going off in an astrological way because the Sun, Moon, Venus and Mercury are in Cancer. All of these four planets are in direct opposition to Pluto. Pluto is about power. This is about how you use your power, how you own your power, and how you give your power away. Written by Michigan Psychic Sherrie Ellen who is one of the busiest Oakland County psychics, and entertains with the pristine entertainment company called The Traveling Psychics. W are all a combination of all twelve horoscope signs. So this effects everyone to some point. Regimental time tables, office boundaries, lavish parties, abundance for the home you want, and love, hard work will earn you money. You must learn to get organized. Cancer is represented by the crab. This is kind of a wild month for the mutable signs of Sagittarius, Pieces and Virgos. This June is where it all comes together. The Gemini new moon on the 4th and 5th is kind of behind the scenes. This is not effecting Cancer strongly except through those people that surround you who have all these other signs. Saturn is opposing the new moon which is going to create chaos. But this is not all bad because sometimes it’s good to shake things up. Saturn is in the area of work and service. Neptune which is very strong is the trouble maker trying to dissolve all these boundaries. This is a good time for you to rest and work on your imagination, and start creating from your sacred space. Time for you to get out in nature more. This is a time for movement. It’s all about taking care of unfinished business. Things from the past come creeping in. Expressing yourself from the deepest places that you usually do not let others know about is necessary. This is the time to use the power of words. Intention, pride and dignity so the light will really come out and shine on you. The flood gates are open. This is a time of the healing of the heart. Persons from the past will enter to help you. It’s a tine for you to let go and let god. It’s time to get in touch with something much higher than yourself. There will be psychic premonitions a foretelling dreams. This is a time to get back into touch with self-love and honoring your self-worth. There are shifts taking place both professionally and in love. There can be confrontations that take place which will give lovers past and present a chance to repair past mistakes and to move toward a healthier place that is in the best interest of all concerned. We call this growth. Time to take a look at what has been holding you back such as who is pushing your buttons, holding you back particularly in the work area. Find where you need to set better boundaries. This is where Saturn is testing your habits. This is a time to create a balance between your personal and business needs. Mercury will move from Taurus into Gemini June 12th. Taurus which controls your money will trine Jupiter which will controls your relationships. We will have a Sagittarius full moon on the 20th. So a lot of crazy will be going on this month. Being too comfortable is not good because if you are too comfortable you will not feel the need to move toward changes. 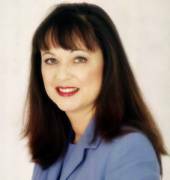 Michigan psychic, astrologer Sherrie Ellen is one of the most prominent Oakland County psychic clairvoyants. She is founder of The Traveling Psychics Entertainment Company. New moon coming up in Gemini June 4th and 5th, 2016 depending where you are located here on earth. This can bring in money, expansion, growth because Mercury is involved in this. Think abundance. This will help ground us. This is about flocks, fast moving change, being able to be flexible. You will get the feeling of fast moving changes. Sometimes it will feel like disruptions, spontaneous happenings in your life. There will be a major square happenings such as between Saturn and Neptune making you feel pulled in all different directions to do different things. You will not be certain at time of what is real and what is not real. A mindful meditation practice will help you just sit and observe all these mutability that will be happening. Sometimes it’s just a lime to let go and relax control because we cannot fully embrace the future if we are still holding on to the past. We have the opportunity to become more aware that our thoughts have the power to create our reality. Our thoughts are electrical impulses, and our emotions are electrical waves which together create a set point of creation. Most of our thoughts are habitual. This is a month were we need to change. We need to embrace our thinking patterns, and to catch any negativity. Each thought creates a certain level of consciousness. Jupiter is square to the Sun, moon, and Venus. This square can expand our perception. Neptune is stationary, and is all about healing, miracles and unconditional love. 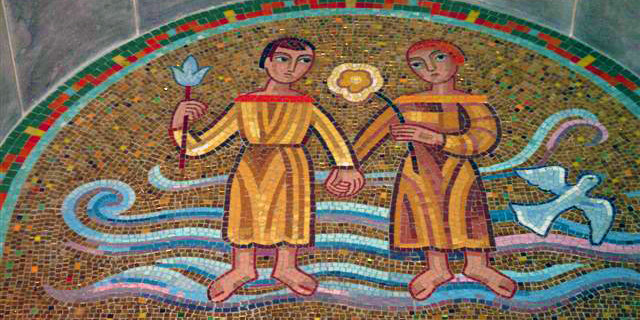 Neptune being opposed by Venus which is pushing us toward contributing to the whole. Venus is conjunct with the sun and the moon. It’s all about developing loving thoughts. This is all about opening up in the heart of love. Living through the heart center, or what many refer to the heart chakra. The heart sends more information to the brain then the brain send to the heart. At this time many of us are exhausted because it takes much more time for the physical to catch up with the spiritual aspects that are manifesting right now within our universe. So let your body rest up be because you will find that you will need a lot of extra vibrant energy to carry on the exciting changes that are ahead of you. Venus is the Goddess of love. Also I want you to understand that Kabbalah is centered on astrology, and the Zohar, which is the decoder of creation. The Bible is the code of creation. All astrological aspects are placed within all seventy-two cards of the tarot card deck. The Traveling Psychics, Michigan psychic Sherrie Ellen is being accompanied by the best Oakland County tarot card reader at Sherrie Ellen’s Psychic Reading Room, located in Commerce Township, MI. Michigan psychic medium Sherrie Ellen is available for readings by reservation. Michigan Psychic Medium Sherrie Ellen of The Traveling Psychics incorporates major astrological transit happenings into her psychic readings to give further incite into how her subjects can maneuver around obstacles, and to offer them opportune times where good fortune plays a role subject to the planetary movements within our solar system. 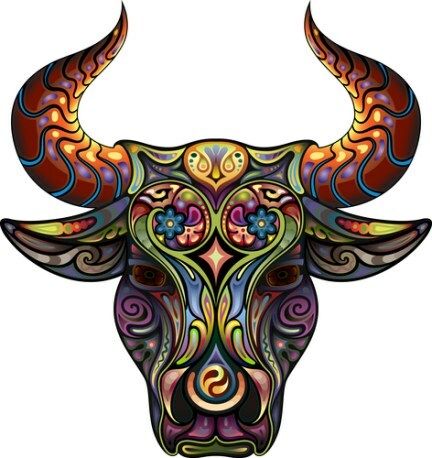 Taurus happenings in May of 2016 is the time for big, important changes for those with their sun sign in Taurus. You can reinvent yourself from the ground up if you choose to do the work. People will see you differently this year, even if you change nothing. Be more adaptable but firm, and be happy with yourself. Try a new look. Dress for success. The moment that the sun starts transiting over your Taurus sign will let you will feel more energized and motivated. It’s up to you to get active and start initiation ideas to produce more progress. Things can start improving. You become more charismatic. Venus in your sign makes you more charming and attractive which can help you win others hearts over. This can bring more love into your life. You will want to take better care of your appearance. This is a time to take steps to improve the way you look. You may feel like pampering yourself. Try a spa. Go get a facial or a message. Mercury and Mars are still in retrograde.in this Mercury retrograde it can make things feel 2 to 3 times stronger because this planet becomes three times closer to earth. It brings things back from your past, including old relationships, buried conversations, opportunities to reevaluate relationships and correct mistakes. This gives you an opportunity to improve damaged relationships. You can get a different perspective on past situations. This aspect has a lot of supporting aspects that can reconstruct past issues, and prevent present break ups. The ultimate goal is to let go of the tensions that you have been holding onto by expressing how you really feel without judgement on the other person which could lead to creating more chaos. You must really look at how you created this situation. This is an opportunity for you to correct mistakes which will give you a better opportunity to move forward on a better note. May is a turning point for you. Things feel more hopeful. There is still a lot of challenges for you. Mars and Saturn are aligned in Sagittarius. Mars in Saturn and Jupiter is now direct in the 5th house which effects finances on a more positive note. This is a time for new beginnings and new ventures. Mars and Saturn is now in your 8th house which can create challenges in your finances. This has to do with taxes, dept. and finances. But a positive aspect of Pluto is tuning a corner of hopefulness. There can still be delays in business because mercury is retrograde in Taurus in the first house until May 22, which offers you a time to review and revise decisions. You will feel more hopeful after the new moon on May 5th which is about finances and business. Mercury retrograde requires three time the work. But it will be worth it. This is a busy time where you will have to make many corrections with business. This is a time where you can have more clarity and have better relationships with the world. Mercury rules media, advertising, editing, and writing. This is a time where you can see things from another angle that you have never looked at before. But this is a time where if you put the effort in, the final project will be good and worth your time. The final result can turn out much better than your original plan even though the effort can be much more taxing. Jupiter will turn direct May 9th which will push you forward on a more positive note. Things start moving forward. The winds behind your back. Relationships start improving. Oakland County psychic mediums, clairvoyant Sherrie Ellen is founder of The Traveling Psychics Entertainment Company. She offers private psychic readings at Sherrie Ellen’s Psychic Reading Room in Commerce Twp, MI and by the convenience of phone to those who live all around our planet earth. Sherrie Ellen is a internationally know psychic who studies Kabbalah with the Kabbalah Center. In Kabbalah astrology plays a important role in making our corrections here on earth. This is one way into viewing our past live, and realizing the purpose of our present one.